This DLC returns to that mad painter's house to poke around from his daughter's perspective. It tells the story of the painter's daughter coming back to her childhood home to face her past. Can she forgive her father, or will she resent all that has happened? Relive her experiences and witness the full scope of the tragedy that has swallowed up the family. Players will lead the daughter through what's left of the mansion and take part in the madness that her father bestowed upon the whole family. Face the memories of her past and shape them into the destiny that awaits her. 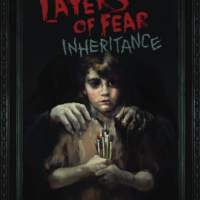 Features include: A completely new narrative experience that expands the story of Layers of Fear; Explore the painter's house from his daughter's perspective; Two distinct endings based on how you play the game; A return to the terrifying and psychedelic experience players loved from the base game.